Birding Is Fun! 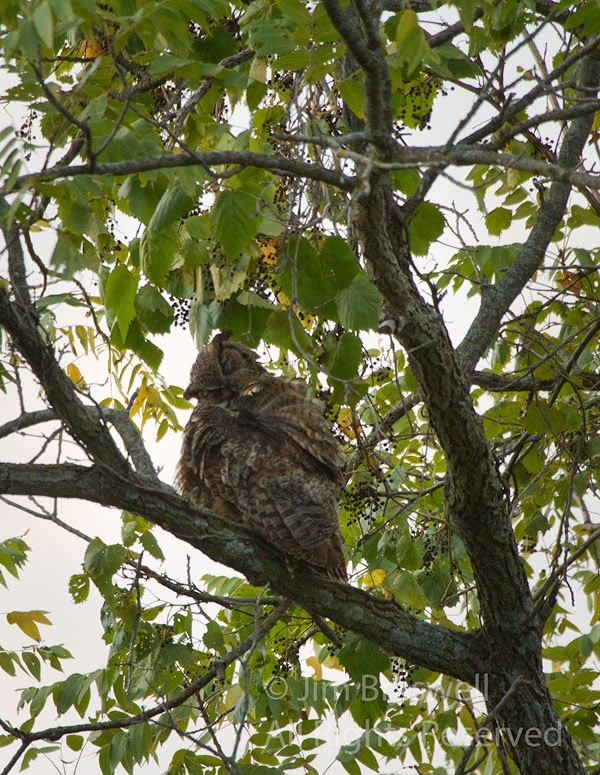 : Fun with the Great Horned Owl! Owls have always been a big draw for me, likely because they are mostly nocturnal and getting in position to be able to photograph them is often difficult to do. With the help of newer, digital cameras that allow you to shoot at a much higher ISO, and without creating too much noise, it is becoming easier to do. 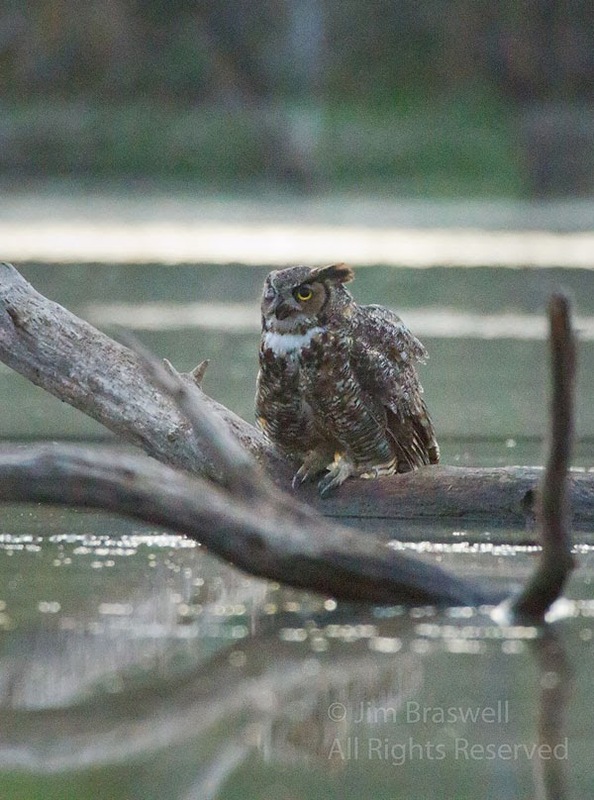 Today's post features a Great Horned Owl (Bubo virginianus) early one morning on a nearby state conservation area lake. I was able to photograph this guy for about 10 minutes. Then he decided it bedtime, so off he flew into the woods. 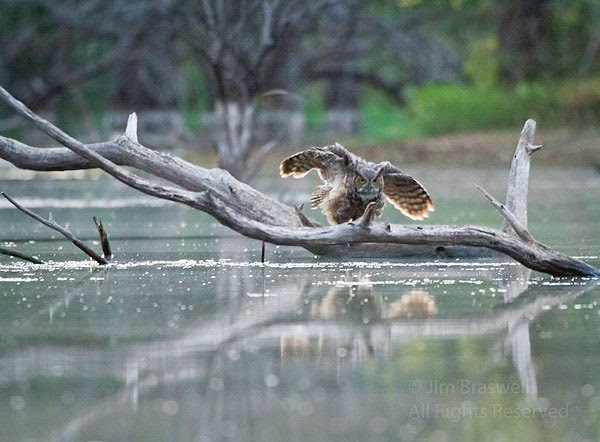 This post was prepared by Jim Braswell of Show-Me Nature Photography. 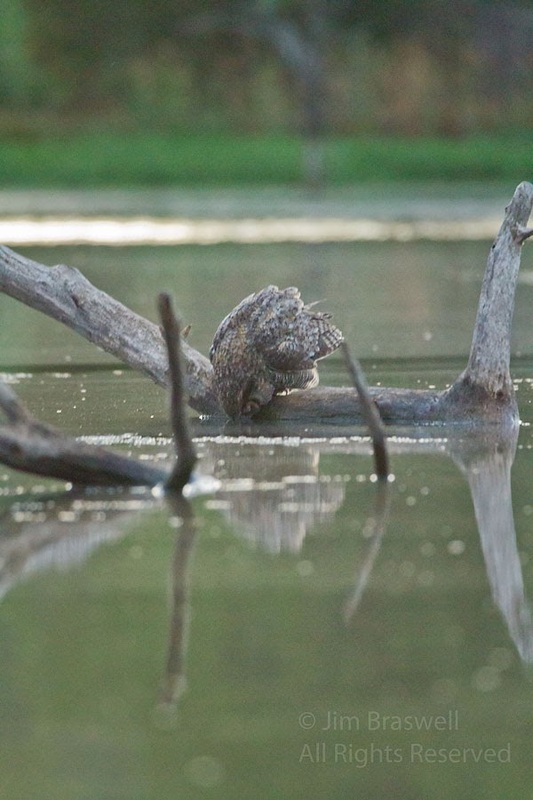 A different way to see an owl! 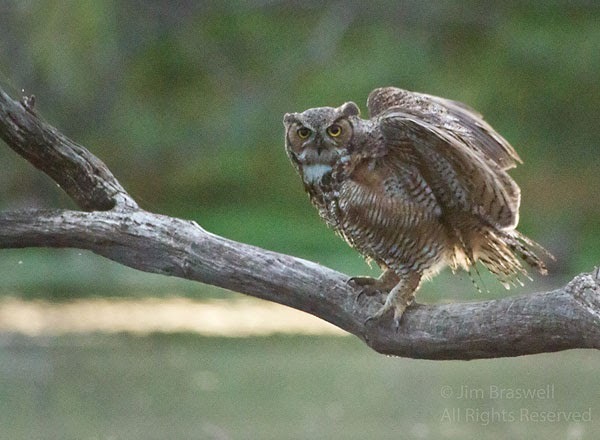 Terrific photographs of this very handsome owl, Jim! 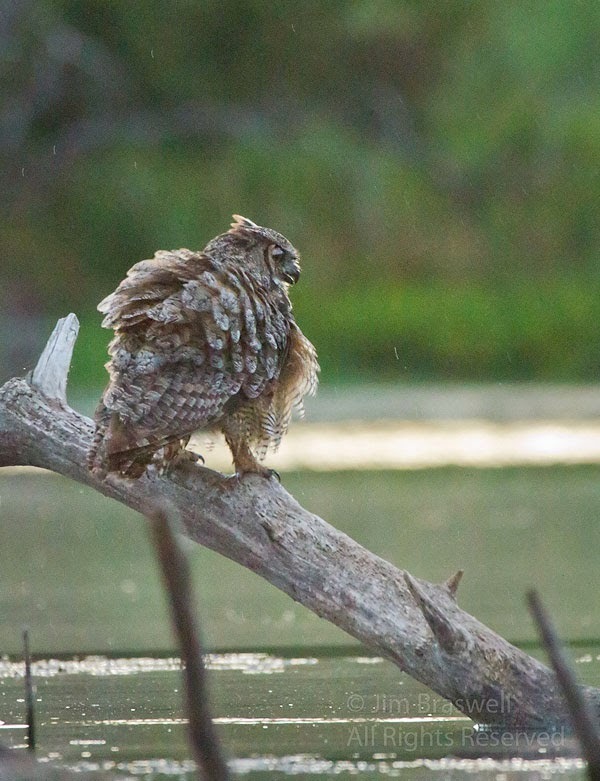 It sounds like a very special experience observing the owl from a kayak. Gorgeous shots! I have gotten some good shots in the past from my kayak. It is so quiet that the birds don't seem to pay any attention to you.